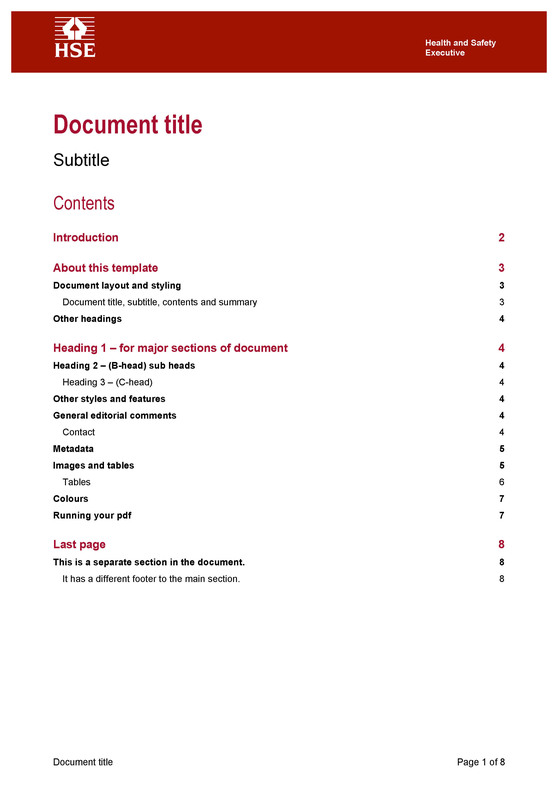 The Health and Safety Executive (HSE) needed templates for their statistics department. 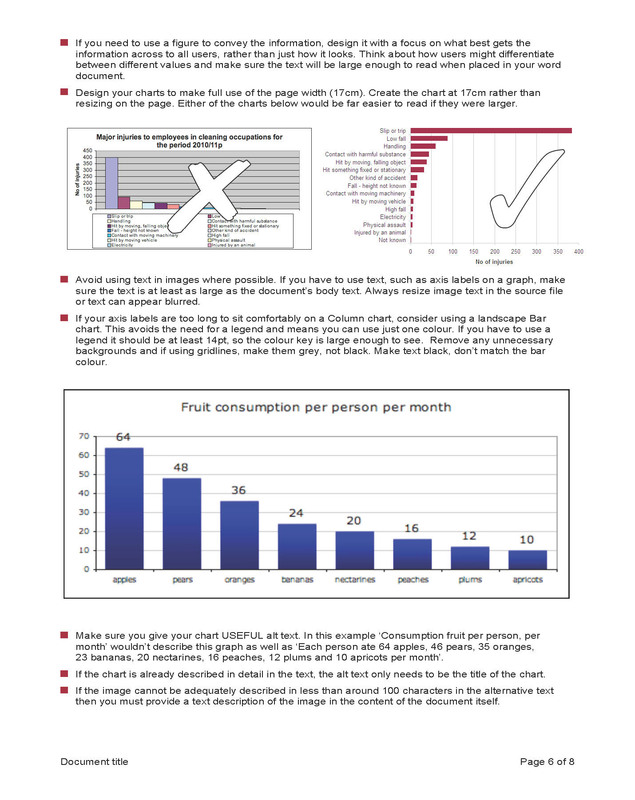 I created the templates and wrote instructions, liaising with the statistics project team to ensure all criteria were fulfilled. 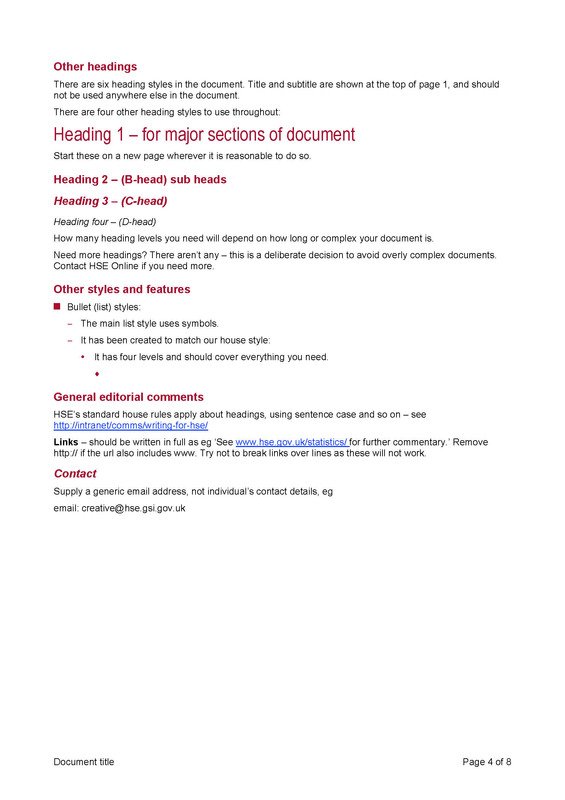 The Health and Safety Executive (HSE) needed templates for their statistics department. 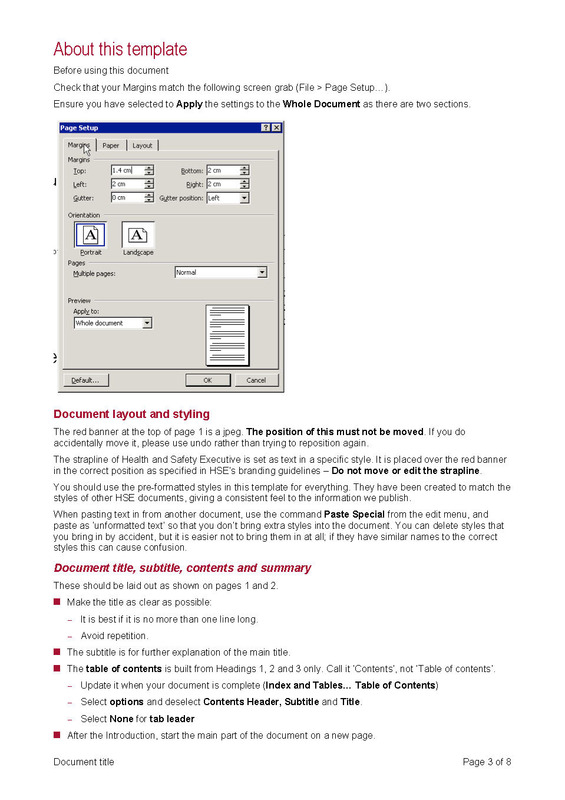 As well as a locked in, non-editable design, their staff needed instructions on how to use the template and guidelines for how to present their content. I created the templates and wrote instructions, liaising with the statistics project team to ensure all criteria were fulfilled. The final templates included insights into user experience, correct heading hierarchy and HSE's editorial and design guidelines. The templates were used successfully by the team, improving consistency and reducing the time spent on publishing statistics reports.